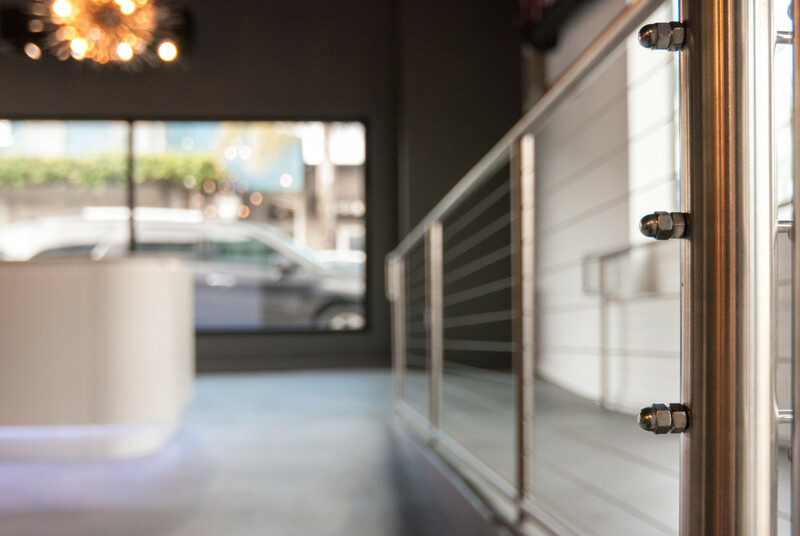 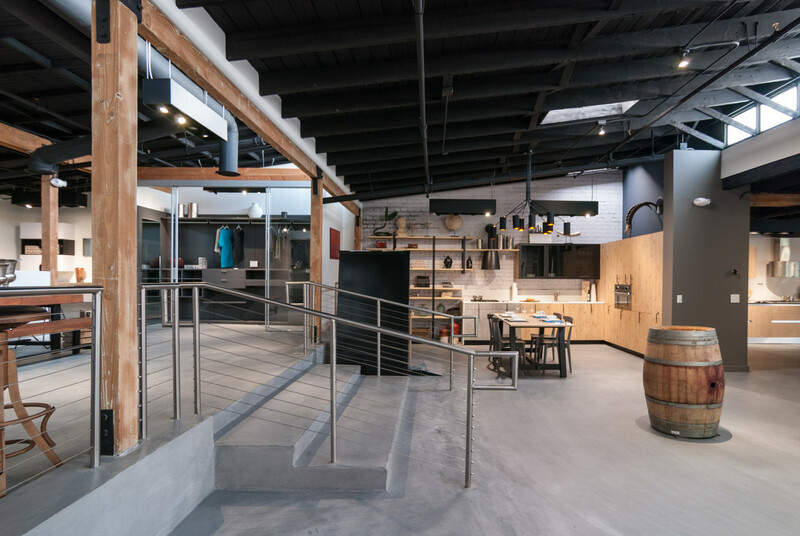 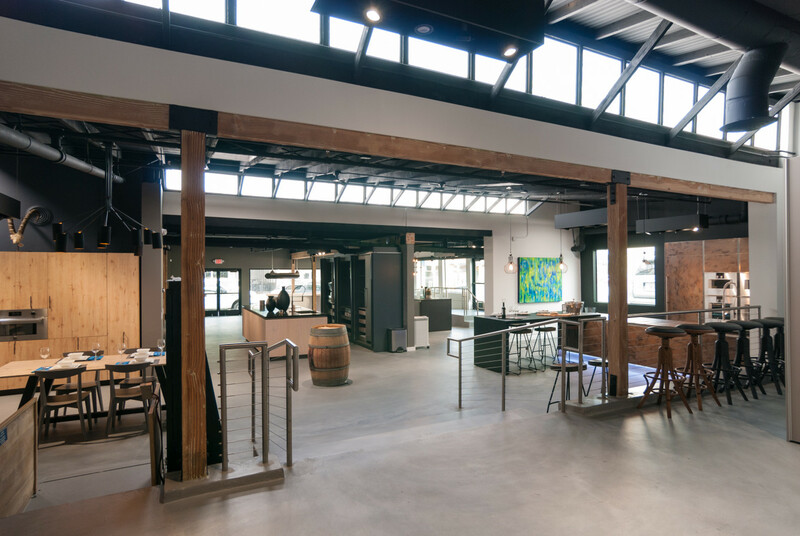 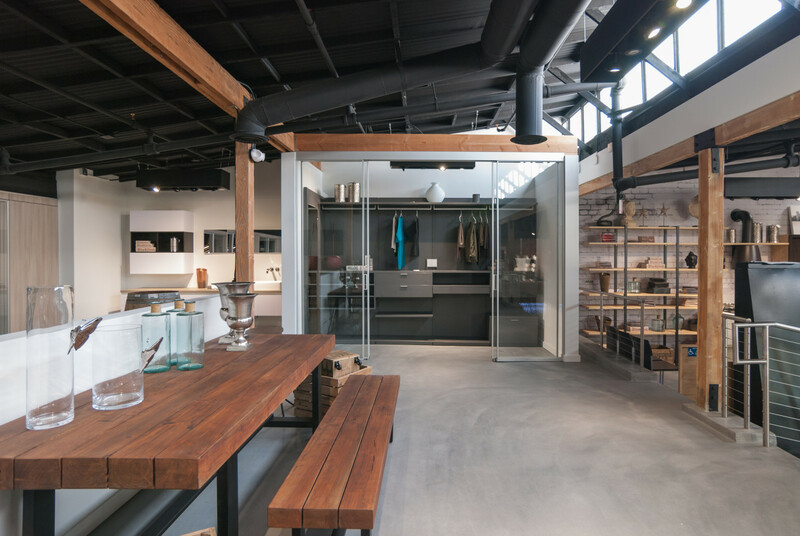 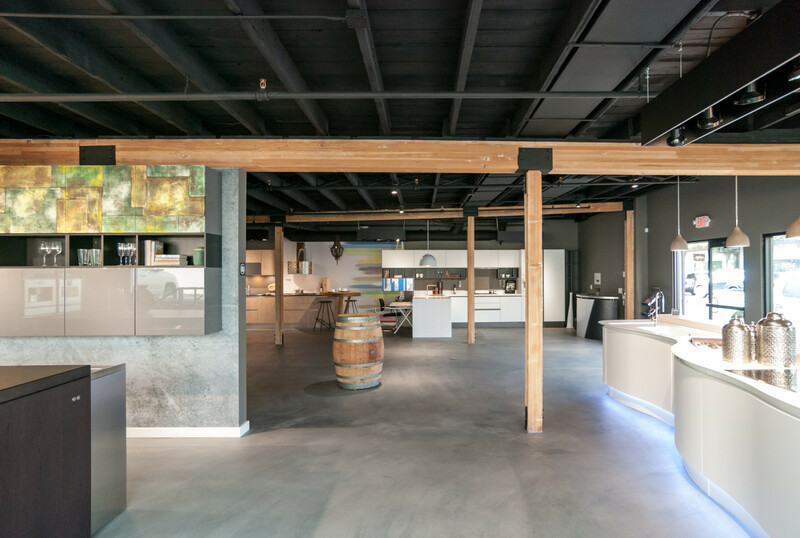 Formerly a run-down antique shop, this tenant improvement stripped the existing structure down to its basic elements to create a simple, raw backdrop for the new retail experience. 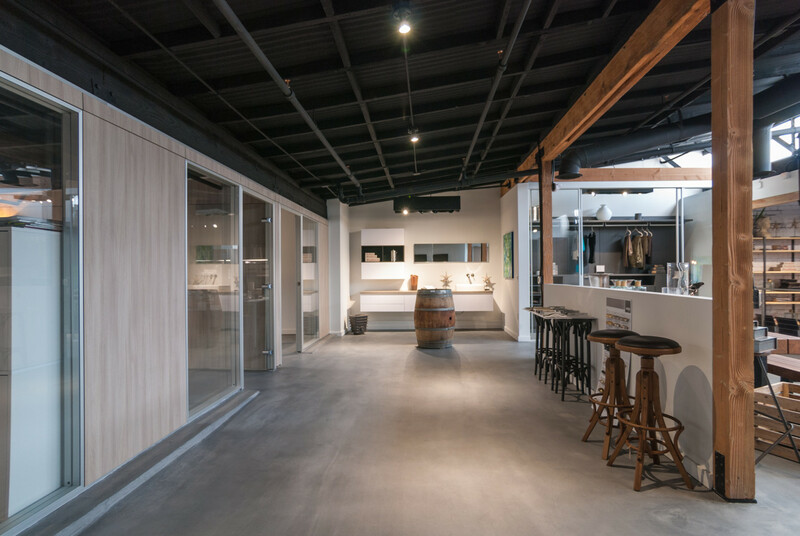 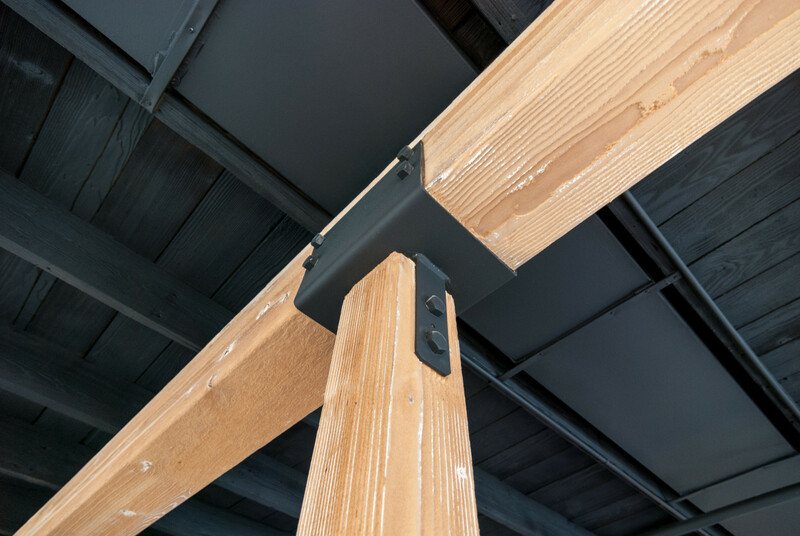 To accomplish this all existing framing was sandblasted, ceiling and exposed hardware were painted black and major beams were given a light whitewash to highlight the structure. 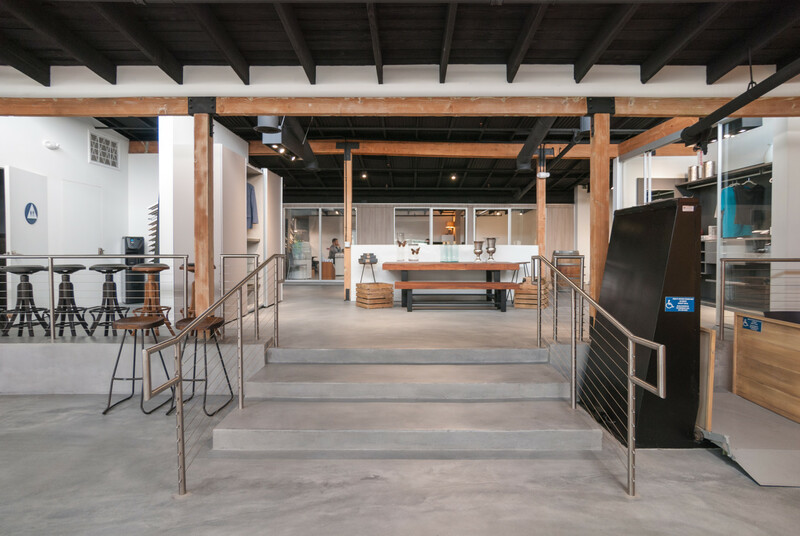 Stainless steel cable railing and a concrete floor finish round out the neutral palette. 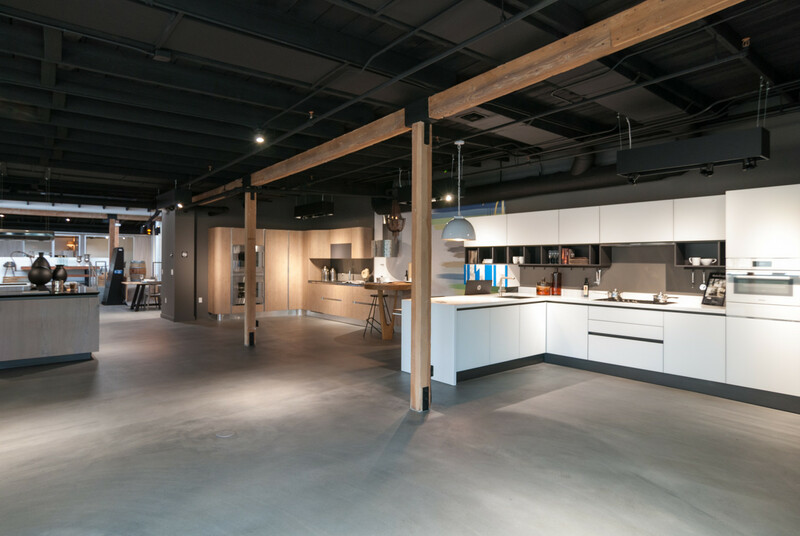 Aran Cucine provides custom cabinetry for kitchens and closets. 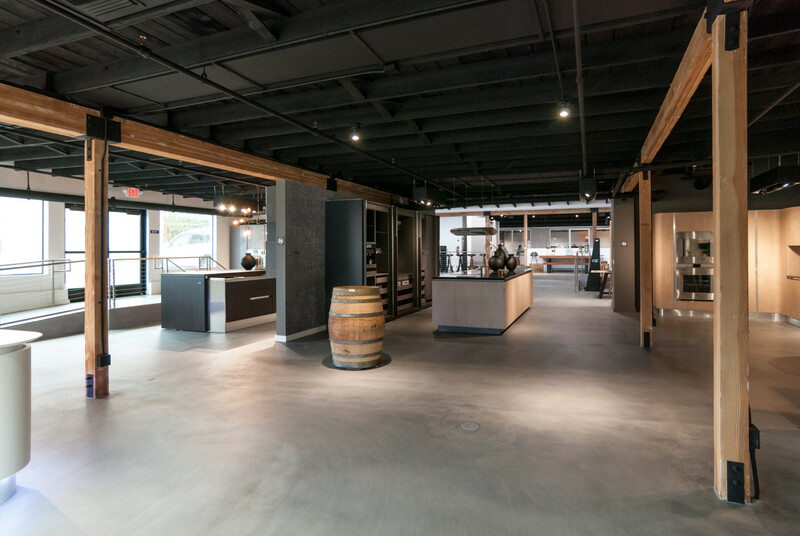 JLC provided basic design and permit processing for the new build-out.